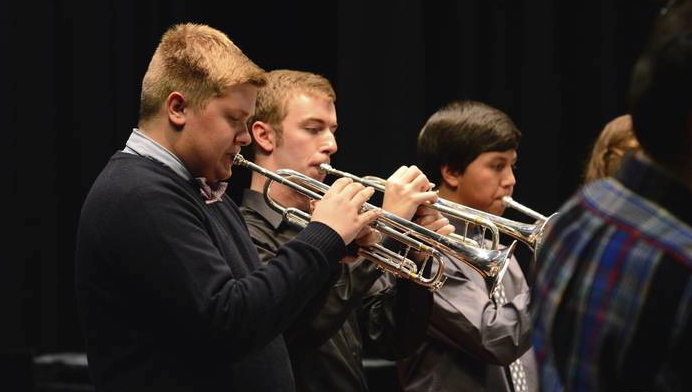 The Lafayette Jazz Program is composed of students in the Lafayette Band who desire to expand their musical experience in a different genre. This aspect of the music program began during the tenure of director Les Anderson in the early 1970s. The program has grown into a full-year performance class featuring two auditioned ensembles. The Jazz Band provides an opportunity for the training and development of students who are beginning their study in jazz. Basic jazz style and theory as well as an introduction to improvisation are taught in this course. In addition to school concerts they also perform alongside the Jazz Ensemble at the Jazz Band Dance in the spring. 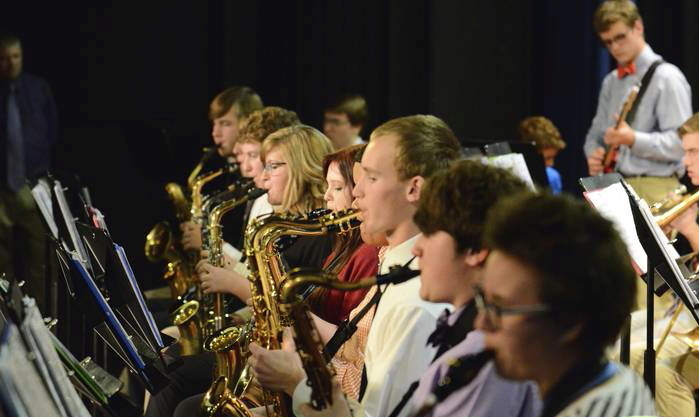 The Lafayette Jazz Ensemble is the primary performing group and its members must be able to demonstrate a high proficiency on their instrument in order to meet the challenges demanded by this style of music. The ensemble performs literature that covers several contrasting styles in the jazz idiom. A strong emphasis is placed upon furthering knowledge in jazz theory and the development of more advanced skills in improvisation. Several performances are given throughout the year both in the school as well as in the community. Performances include the Jazz Band Dance in the spring, run-out elementary school concerts, and a performance at the Comedy off Broadway club as the opening act for the DiMartino-Osland Jazz Orchestra (DOJO).